The price includes a Chunky tubular Rear Bar with Straight Profile for Mercedes Vito Van that fix to original mounting points. These are a NON DRILL product for 1996-03 model. Our Rear Bars and Steps are Hand Polished to a mirror finish. Excellent value for your Mercedes Vito W638 Van giving an excellent finishing touch. 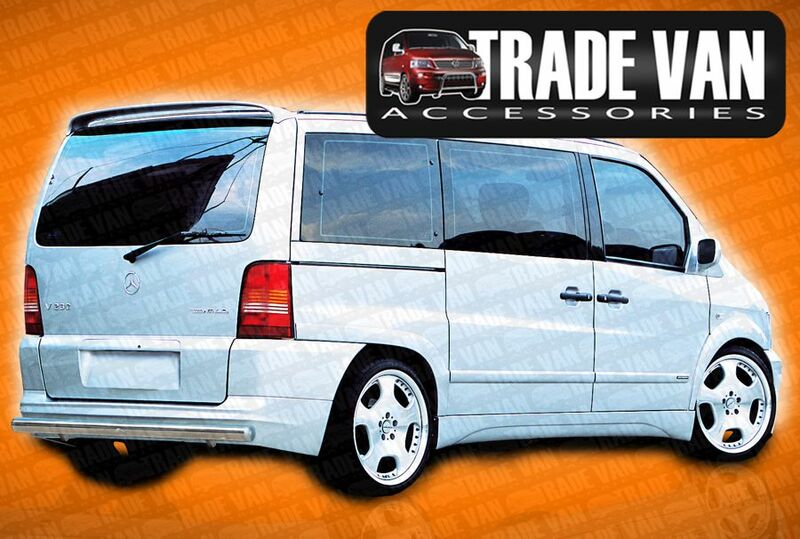 Click the button below to add the Mercedes Vito W638 60mm Chunky Rear Bar Straight 1996-2003 to your wish list.